For the first portrait prepared by a restaurant, we have the Canteen 900 Signature, the namesake of the business itself. Served on seeded multi-grain torpedo bread, its flavors spark little fires on your tongue as you taste the chipolte mayo, melted copper sharp cheese and oven-roasted turkey. 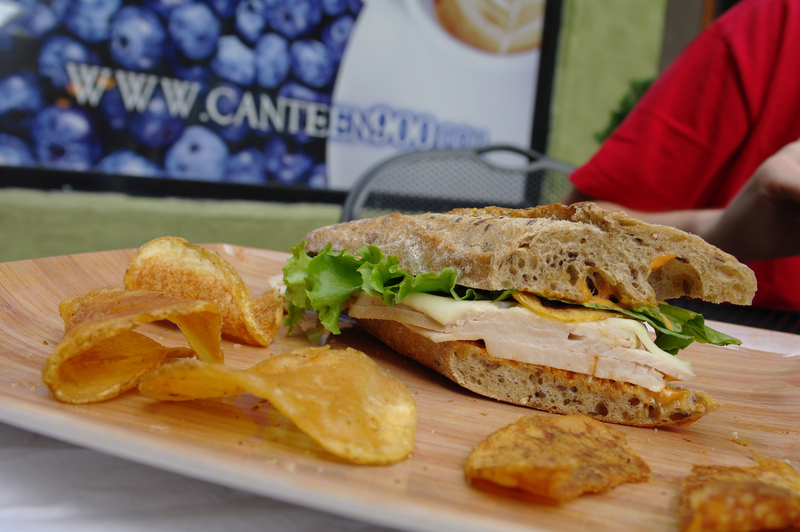 Topped with lettuce and homemade chips, it takes you on an adventure from the first bite– crunching of chips, softness of cheese, juiciness of turkey, and the healthy, delicious bread. You can only take time for a portrait when it’s half gone. Customers have no problem leaving their signature on the check when they walk away, full and satisfied, counting the days until they come back for more.